I want to welcome Dionne Hammond as the new District Superintendent for the Atlantic Central District. She will begin her duties in July and will be with me at the Cabinet’s Appointment sessions in February, March and April. Dionne and Craig have co-pastored First Melbourne UMC for the past 7 years. They have re-energized the church with growth in children, youth and mission. The church is going through a renovation to focus on serving those who are visiting the church. Dionne is a great preacher and leader, I’m so glad to be turning over the reins to her capable leadership and vision. Rev. Dionne Hammond is appointed as the district superintendent of the Atlantic Central District; Rev. Dan Jackson is appointed to the South West District, with continuing leadership of the Fresh Expressions Movement, and Rev. Rini Hernandez will remain on the appointive cabinet as Director of New Church Development and Hispanic/Latino Ministries. With the appointment of Rev. Hammond, the Florida Conference will be led by four clergywomen and four clergymen serving as district superintendents. The appointments are effective July 1. Rev. Hammond began her candidacy through First United Methodist Church of Coral Gables. 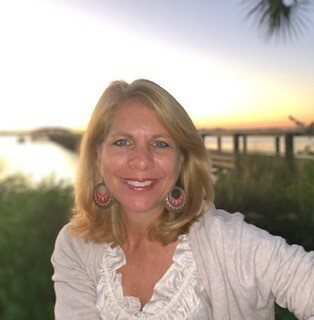 Before being commissioned and ordained, Dionne served on the staff ministry teams of Everglades Community Church, First UMC Coral Gables, Hope UMC and Wellspring UMC. Dionne has served two appointments as an associate pastor at East Lake UMC and co-pastor at First UMC Melbourne. She and her husband Rev. Craig Hammond have been married for 29 years and have three children: Caily (Timothy) Irwin, Lydia Hammond and Connor Hammond. She is a graduate of Houghton College and Asbury Theological Seminary (Master of Divinity). Dionne has served at the District, Annual and General Conference levels: Committee on Judicial Administration for GC 2016; Chair, Order of Elders; Board of Ordained Ministry Executive Committee; Conference Relations Committee; Episcopacy Committee; POV Design Team; Clergy Effectiveness; Administrative Review Committee; Chair of Haiti-Florida Covenant; Co-Chair of Shade and Fresh Water, and District Peer Learning Group leader. Internationally acclaimed author, speaker, psychologist, and spiritual director, Alexander John Shaia, will be speaking at First United Methodist Church Cocoa Beach on Wednesday, February 20th from 6:00—8:00 p.m. Afterwards, Shaia will stick around for a time of Q&A and book signing. This is a free event open to the public. Read in this way, the gospels are more than an account of Jesus' life and words. They are stories of spiritual practice that lead us to radical transformation. No doubt, you will leave this symposium with an enlightened spirit renewed in wisdom and compassion. We hope you will join us for this rare and exciting opportunity to learn from a master teacher. For more about Shaia's work and life, visit www.quadratos.com where you will find books, videos, podcasts, interviews, and other helpful resources. All Florida Conference clergy and lay leaders are invited to join Bishop Carter this Lent for a conversation about leadership and courage. We will study the new Gil Rendle book entitled Quietly Courageous. Gil, the former vice-president of the Texas Methodist Foundation, offers incredible insight on how to lead in these turbulent and ever-changing times. Your commitment is to read the book, then attend an in-person meeting at the Portico in Tampa, Florida, on Thursday, March 7, from 10 a.m. to 2 p.m. A second brief meeting will be held virtually on Thursday, April 11, at 10 a.m. to discuss how you are putting courage into action in your settings. Space is limited. Sign up here. The Florida United Methodist Church and the African Methodist Episcopal Church, in partnership with our community partner, Florida Impact, will convene in Tallahassee, Florida, on Sunday, March 24-Tuesday, March 26. Our collaboration is entitled Florida Advocacy Days (FAD). We will gather for a time of prayer and learning as we prepare to meet with our legislators and advocate on behalf of children and others: "those who cannot speak for themselves." The three-day event begins with a dedication of children’s handprints in response to the “Hanging of the Hands” display on Sunday at 4:00 p.m. at the State Capitol. This celebration will be followed by a Sunday worship service at 6:30 p.m. and reception held at FSU Wesley Center in Tallahassee, to which the public is invited. The Monday gathering will convene at Trinity United Methodist Church. Leaders from the three membership partnerships and others come together to receive data and impact information on areas of need and challenges regarding resources. Experts from several fields and agencies will help shape and inform our messages. Training will be provided in order to prepare us to meet with our legislators and to advocate and call for their accountability on behalf of "those who cannot speak for themselves." The event culminates with a Tuesday Prayer Breakfast held at Trinity UMC at 7:00 a.m., followed by a group photo, a march to the State Capitol and keeping pre-scheduled appointments with legislators. We conclude our time together with a debrief over lunch at Trinity UMC. Join your voice with other brothers and sisters in Christ as we gather for FAD in Tallahassee during the Annual Children's Week. Click here to register and have the opportunity to be a voice for “those who cannot speak for themselves.” Registration is $70 if you register by 2/14/2019 and $80 if you register after. Deadline for registration is 3/1/2019. Registration includes all of the events above, along with Monday and Tuesday breakfast and lunch. The registration cost does not include additional meals, transportation or lodging. A detailed list of the advocacy issues will be provided soon. Register and add your voice and make a difference. FL Conference Connectional and Justice Ministries invites its members and congregations to consider making a special gift toward the cost of registration for a young adult to participate in Florida Advocacy Days in Tallahassee, March 24-26, 2019. As we begin a new year and move toward the beginning of the Lenten season, we extend the opportunity to our Conference to make a difference in the leadership development of young adults. We ask that our members and congregations, consider an opportunity to sponsor a young adult to attend this event. Your gift of $80.00 will cover the cost of meals and registration materials for this two-day event. The event will enable a new generation of leaders to receive training on critical issues, meet with elected officials and engage in conversations that will minimize or prevent hunger and homelessness in children and senior citizens in FL, due to a lack of resources. We are excited to share that the Young Adult Missional Movement (YAMM) participants and other young adults are passionate about this event. Your sponsorship of $80.00 would make it possible for one of our 24 YAMMers or another young adult to attend! Please click here to make your generous gift of hope today. Consider sponsoring more than one! The deadline for us to receive your gift is March 1, 2019. 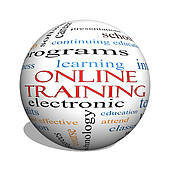 Cost of the training is $50 and includes two meals and training materials. For more information and to register, please visit www.coronadoumc.org Registration closes on Friday, March 1. Scholarships are available. Contact Laura Berg for more information. Thursday, March 7, 2019 8:30 a.m. – 5:00 p.m. Friday, March 8, 2019 8:30 a.m. - 4 p.m. The Florida United Methodist Foundation is now accepting applications from United Methodist high school seniors for the 2019 Sinclair scholarships, and we need your help to spread the word. Applicants must be full and active members of a Florida United Methodist church, have a record of church and community service, and have a grade point average of 2.5 or higher or academic performance that indicates ability to succeed in college. They must also be planning to attend a Florida or United Methodist college or university for the first time this fall. Scholarship awards range from $2,000 to $3,000 and are renewable for up to three additional years for students who remain in good standing. The deadline to apply is March 15. A scholarship application and instructions about other required documents are available on the foundation’s website. More information is available by contacting Nadara Brock at nbrock@fumf.org or 866-363-9673, ext. 7113. Please consider posting and/or sharing the Sinclair Scholarship flyer with students you feel are good candidates for this opportunity, as well as including it in your newsletters or worship bulletins. Thank you for your help in spreading the word about this valuable opportunity. Pastor Tim May, First Ft. Piere, is certified in training on suicide awareness and will be offering this training monthly at his church. He also is willing to travel throughout our district to offer the training Attached is a flyer with some additional information. Please click here safetalk_flyer_color+(005).pdf to view the flyer. If interested please contact Pastor Tim at (772)464-0440 or email him at tim@pastortimmay.com. Church Leaders take advantage to available training. UMCom has some great webinars, live and recorded for you. Bring your youth group to Lake Junaluska this summer for worship, spiritual growth and adventure in the mountains of Western North Carolina. Every event includes energized worship with great speakers and bands, small groups, vespers and workshops. Youth also can choose to participate in mission projects and recreational activities such as rafting, ziplining or swimming. Find more information at www.lakejunaluska.com/summeryouth. LAKE JUNALUSKA, N.C. - Registration is open for Lake Junaluska’s Summer Youth Events. Middle school and high school youth groups may sign up for one of six events to be held in June and July. Each three- or four-night event features morning and evening worship sessions as well as small groups, spiritual workshops and evening vespers. During the afternoons, youth may participate in recreational activities at Lake Junaluska, off-site adventures such as rafting or ziplining, or mission projects through Asheville Youth Mission, a partner of Lake Junaluska. Speakers and bands from across the Southeast will explore the theme in their messages. In small groups, youth will discuss topics from who they are in God's eyes to how they are called to serve. The first youth event of the summer will feature the Rev. Andy Lambert, senior pastor at Oak Ridge United Methodist Church in Winston-Salem. Lambert has proclaimed the Gospel across the United States and abroad at such venues as comedy clubs, churches and colleges. The second event will bring to Lake Junaluska the Rev. Juan Huertas, pastor of Grace Community United Methodist Church in Shreveport, Louisiana, and a contributor to Ministry Matters and Day1.org. Speaking at the fourth event will be the Rev. Janjay Innis, nurture pastor at The Nett Church, a multi-campus United Methodist Church in Gwinett County, Georgia, and a former US-2 missionary who served as a social justice advocate in Tacoma, Washington. The Rev. Jeremy Steele, who is the next generation minister at Christ United Methodist Church in Mobile, Alabama, senior editor of the Seedbed Youth Ministry Collective and author of “Reclaiming the Lost Soul of Youth Ministry,” will present during the fifth event. The closing summer youth event will host the Rev. Kevin Wright, former executive minister of programs at The Riverside Church in New York City. Wright now serves as the chief program officer at the Urban Arts Partnership in New York City where he helps public schools close the achievement gap for underserved students. “These speakers are all extremely gifted and passionate about sharing the Gospel with and inspiring youth,” said Johnson. Summer Youth Events include three or four nights of lodging, meals and programming that includes morning and evening sessions with small groups, workshops, worship and vespers, and start from $299 per person for a three-night event and $368 per person for a four-night event. Groups of 10 participants or more that register before Monday, April 8, will receive $100 off the registration price for their groups. More information about speakers, bands and entertainers is available online at www.lakejunaluska.com/summeryouth. To register, call 800-222-4930 or visit www.lakejunaluska.com/summeryouth.